How random can you get? Instead of just randomly clicking in an Ancestry.com window, I decided to be a bit less random. I wanted to begin by working with a family that had a local connection. However, there were few people who lived in the area of town where I currently live, so I decided to pick someone from the Vail-Helvetia area which is south of us. We recently visited a friend down in Vail — and came home with two ferrets — so it seemed like a decent “random” location to pick. Geo. P. Scholefield was the head of this household which included only one other person, his wife Clara A.1 The enumerator reported that Geo. was 69 at his last birthday and was therefore born about 1861 in New York, the same location as both of his parents. He was working on his own account as a rancher on his general ranch which was valued at $500. The ranch was valued lower than others in the area and was farm number three of six in the area (the farm schedules no longer exist). 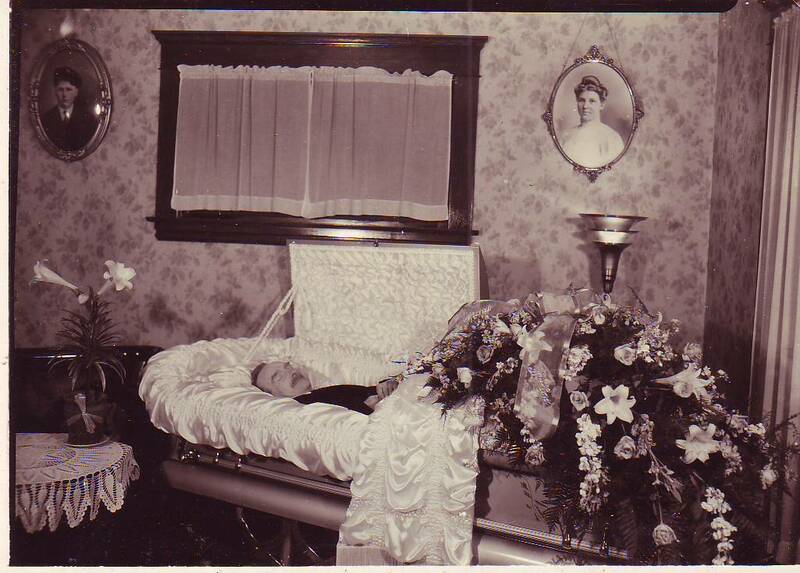 Clara A. was reported to be a 66 year old homemaker who was born about 1864 in California. Her father was born in New York; her mother was born in South Dakota. The couple was married when Geo. was 21 and Clara was 19. The year would have been about 1882. Both could read and write and spoke English. They also owned a radio set, one of four in the area (nine households reported no radio). Looking at the other families in the area (a good thing to check since sometimes families and friends move together) there are no obvious siblings. I say that because no one else shares their surname; additionally, there is only one other person born in New York who is about the same age as Geo. and Clara and none were born in California. No children, including possible married daughters, are evident since there are no persons of an appropriate age whose parents are reportely born in New York and California. The one person who was born in New York is Mike Hiner; his wife was born in Wisconsin. Since he is a driller in a lode mine, he likely is not a friend who would have migrated with Geo. Check 1930 Census for Scholefields (and variants) in Pima County, Arizona. Check online Arizona birth and death certificates for Scholefields. Check online family trees for Geo. and Clara. 1. 1930 U.S. census, Pima County, Arizona, population schedule, Vail-Helvetia Election District, enumeration district (ED) 62, sheet 1A, p. 108 (stamped), dwelling 9, family 9, Geo. P. Scholefield household; digital image, Ancestry.com (http://www.ancestry.com : accessed 16 Aug 2008); citing National Archives and Records Administration microfilm T626, roll 62.